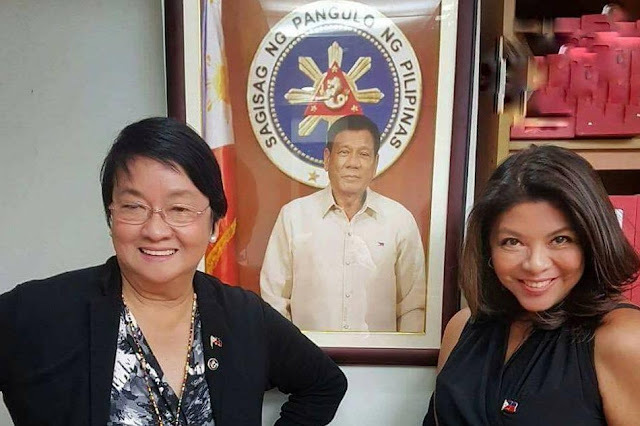 Dr. Lorraine Marie T. Badoy, Assistant Secretary at DSWD Batasan Central Complex, expressed her gratitude and amazement to the former Mayor of Davao City and now the President of the Philippines, Rodrigo Duterte for his genuine and profound love to the country and its people. She got inspired to post on her Facebook account when she saw the throwback interview video of the President back when he was still the Mayor of Davao City after he visited Leyte to give empathy. “Because in this clip, I saw a man who mirrored the rage and the grief I felt. “ Badoy said. After watching the clip, Badoy was awaken to the truth and her hope was born again. 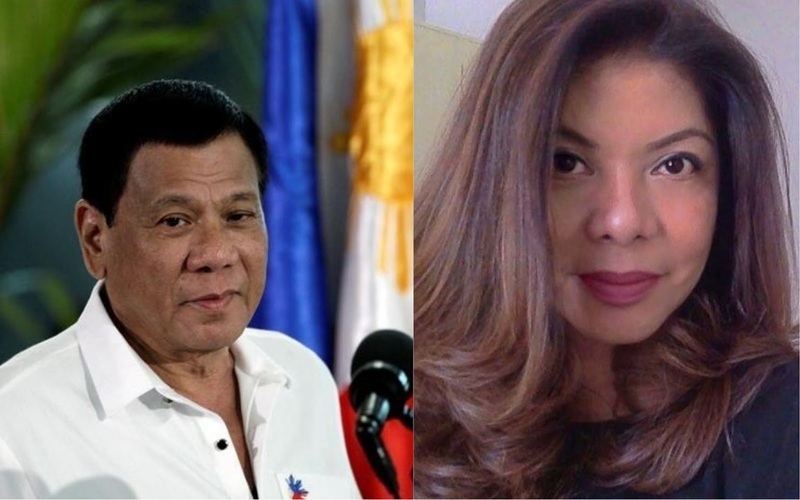 “The day I saw this clip of then Davao City Mayor, Rodrigo Duterte, the seed of an idea was born: is it possible I am looking at the next president of the Philippines? “ Badoy said. “And is it possible to feel hope for our country again? And is it possible to believe that our country, so stuck in the dark ages, can be part of the 21st century and the rest of the world? “ Badoy added. 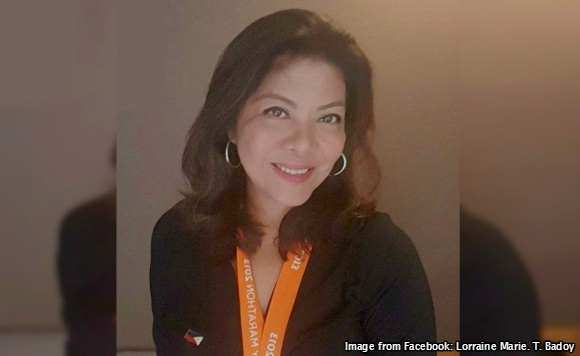 Lorraine described Mar Roxas and former President Noynoy Aquino as indifferent and shockingly incompetent. She even described Leni, who was fired as HUDCC head that time for being an incompetent, indifferent and lazy public official. 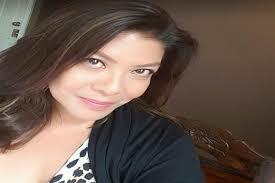 The hope of Lorraine for Duterte is high and she believed that the disaster caused by Typhoon Haiyan (Yolanda) will never happen again now that Duterte is the President of the Philippines. “Here’s a simple fact: Yolanda will never happen under the watch of President Rodrigo Roa Duterte. He simply will not allow it—even if it means him doing the whole rescue and rehabilitation himself. “ She said. “The President will simply not allow another Yolanda to happen to us. End of story. Yan si Rodrigo Duterte. Alam nyo yan.” She added. She ended her post by saying, “Finally, Philippines, we got this right”, with full confidence. 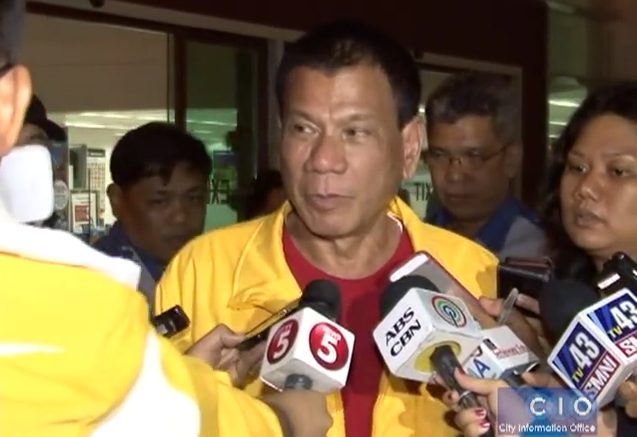 "The day I saw this clip of then Davao City Mayor, Rodrigo Duterte, the seed of an idea was born: is it possible I am looking at the next president of the Philippines? "And is it possible that he will be unlike the impossibly self absorbed shits we put in the highest office of the land who did nothing but line their ever-fattened pockets and think of nothing but themselves and their ugly progeny and spoiled mistresses and vulgar wives? "And is it possible to feel hope for our country again? And is it possible to believe that our country, so stuck in the dark ages, can be part of the 21st century and the rest of the world? "Because in this clip, I saw a man who mirrored the rage and the grief I felt. Juxtapose that with the indifferent and shockingly incompetent Mar Roxas who reduced this catastrophe that shocked the entire world into a petty family feud between the oligarchs—Aquinos, Romualdezes and Roxases. "Mayor Duterte was more circumspect than I was in the manner with which he expressed his shock at the incompetence and indifference of the sitting president, Noynoy Aquino and the clowns he called cabinet secretaries but there was no mistaking his dismay. "Four years later, I feel like we have awakened from a bad dream and are finally breathing clean, fresh air. "Here’s a simple fact: Yolanda will never happen under the watch of President Rodrigo Roa Duterte. He simply will not allow it—even if it means him doing the whole rescue and rehabilitation himself. "Leni was fired for her dreadful incompetence as HUDCC head because it was unbearable to the President that those who’d been made to wait for their homes were being asked to wait even longer by this incompetent/indifferent/lazy public official. "The President will simply not allow another Yolanda to happen to us. End of story. Yan si Rodrigo Duterte. Alam nyo yan. "And I am hopeful like I have never been for our country. And I see that the overwhelming majority of Filipinos feel the same way I do. "You know what? If I see this man today, I will kiss him for all of us and thank him with tears streaming down my cheeks for all that he’s managed to do for us so that it does feel like a new day for our country has begun. "And most of all, I shall thank him for that heart of his that really, truly, WILDLY loves us with a profound love. "Finally, Philippines, we got this right.